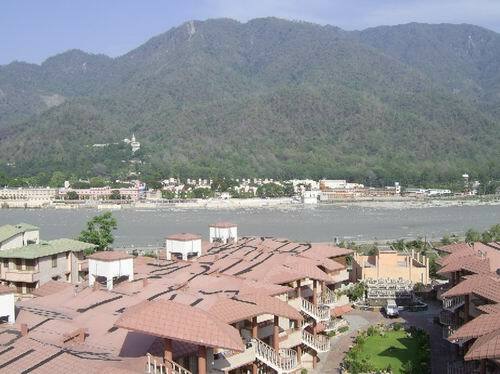 Rishikesh is a highly revered and famous town beautifully set on the banks of the river Ganga. It is located right at the foothills of the Himalayas where the famed river leaves the majestic mountains and flows into the wide and fertile plains of India. It is a place of many schools of Yoga, Mandirs (temples), and various Ashrams (hermitages) that give shelter to thousands of pilgrims and visitors interested in learning about spirituality from both the East and the West. 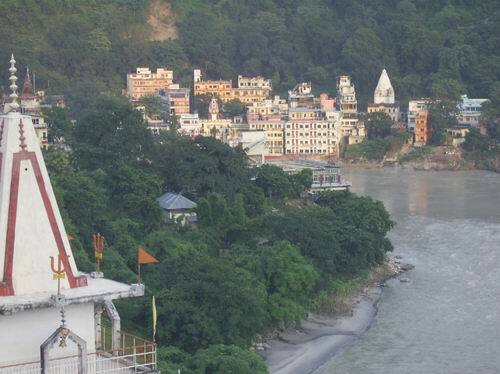 While comfortably accommodated in our Panchakarma Home undergoing treatments that will restore your health and well-being, you can also discover why the area of Rishikesh has always been considered holy and well worth exploring for a couple of days. You can easily gain insights into the meaning of life by just visiting the grand vistas of the magnificent Himalaya mountains. 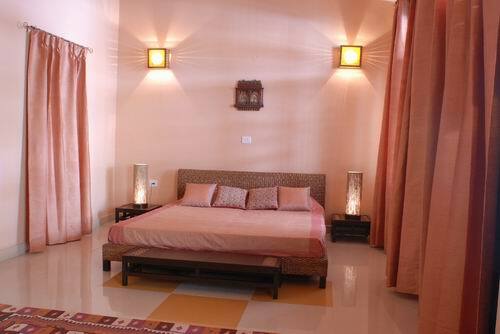 The Ayurveda Bhavan at Rishikesh operates under the auspices of the AMV Pharmacy Priv. Ltd., India. AMV Pharmacy is a part of International Holding Company which is promoting and realising evolutionary projects in the fields of science and technology. From Ayurveda Bhavan at Rishikesh you will return to your responsibilities at home rejuvenated and reinvigorated in mind, body, and soul. It might be interesting for you to know that the entire town of Rishikesh is a purely vegetarian haven where Indian style food tastes divine! 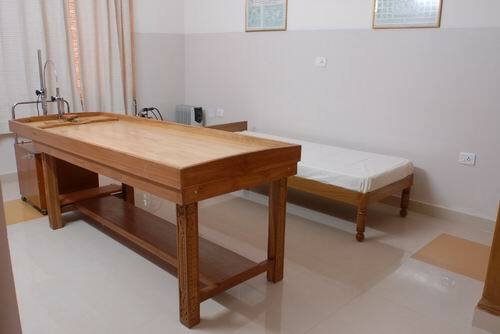 It is an ideal place for Ayurvedic treatments which will reinforce your way of healthy life style. Our management and guest relation team is under the leadership and training by experts from India and other countries. We will ensure that you gain most from your stay in India. If you wish, and your treatment schedule allows, you will get also the opportunity to discover the serene beauty of the Himalayas, and dive into the spiritual atmosphere of the unique world of Rishikesh in India–the Land of the Veda. The treatments offered by this centre are; Abhyanga , Vishesh , Udvarthana , Nasya , Netra Tarpana , Shirodhara , Shirobasti, Svedana , Matra-Basti , Shodhana Basti , Pizzhichilli , Pinda Sveda , Patrapotali , Hrid Basti , Kati Basti. Our Indian doctors (Vaidyas) are well-educated and experienced physicians. They have received their education at the best universities of India. Additionally, they have been specially trained in Ayurvedic Panchakarma treatments in the best institutions of Kerala. 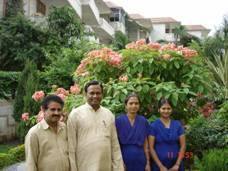 And most importantly, they have long experience of working in the field of Maharishi Ayurveda. They have travelled around the world and are experienced in working with people from different countries. Our Panchakarma technicians are well-trained in Ayurveda and devoted to their practice. They have treated thousands of patients from all over the world. We provide organic food from outside market which is very clean, healthy; and non-spicy, no onion, garlic used. 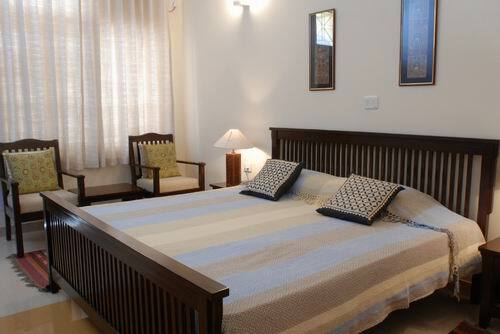 We have six comfortable luxurious rooms, and two Suits, all rooms are Air conditioned, designed as European standard. 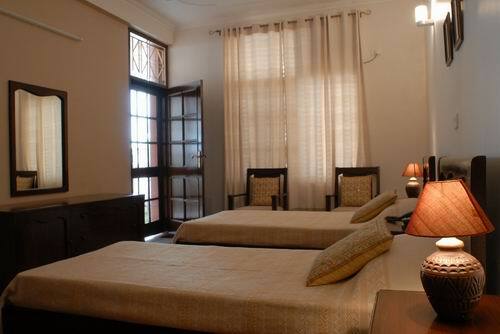 The price range is Rs.6000 to Rs.7000 per day included Accommodation, Food and Treatments, in a double room per day for two persons - 10'800 INR, in a suite per day per person - 9'000 INR, in a suite, per day for two persons - 14'400 INR. 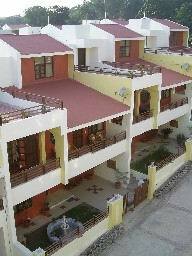 Address: Ganga Vatika 2, House No. 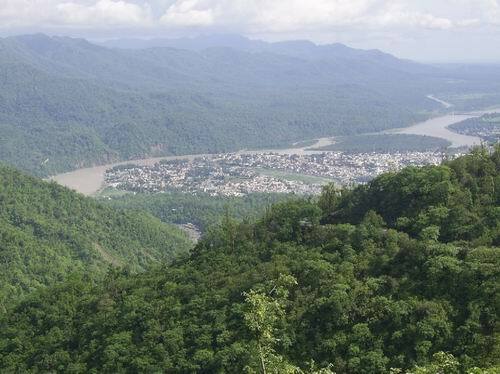 30 & 31, Muni-ki-reti, Rishikesh - 249192, Uttarakhand , India. This is one of the best panchakarma center, i've tried. than ..